BLS Polymers is well positioned for both exports & imports. Our manufacturing facilities are located within 15 kms of the Goa port. 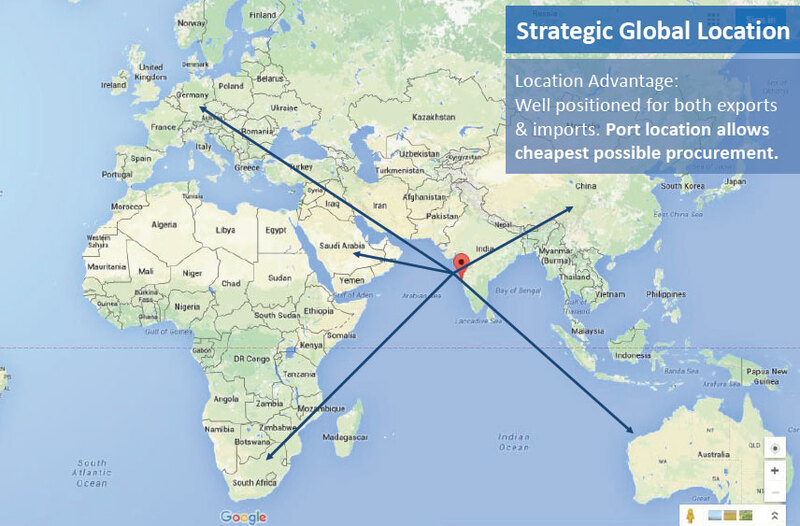 This locational advantage allows us procurement advantages (choice between import vs inland procurement). Similarly, port location also allows us to serve our international customer base . This apart, we have stockpoints in Delhi-NCR to serve our clientele i Northern India. Well positioned for both exports & imports. 1. Port location allows cheapest possible procurement.